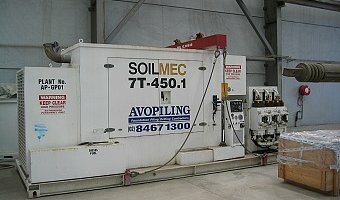 Avopiling has a wide range of equipment used in ground engineering applications. 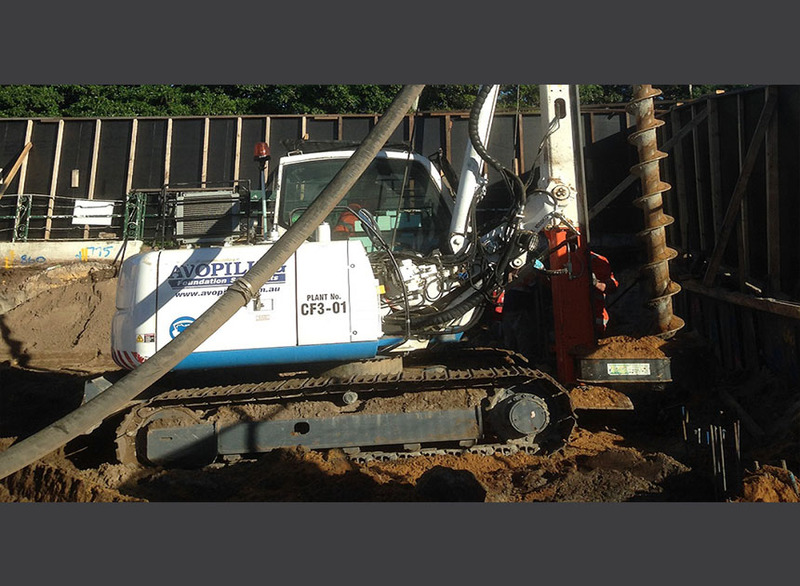 With our wide fleet, we have the flexibility to manage and deliver everything from Diaphragm Wall, Continuous Flight Auger, Driven piles and Ground Improvement Works i.e. 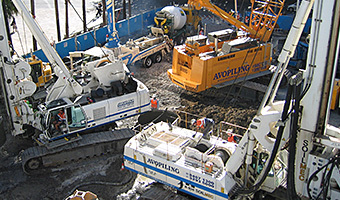 Cutter Soil Mixing, Turbojet and Jet Grouting. 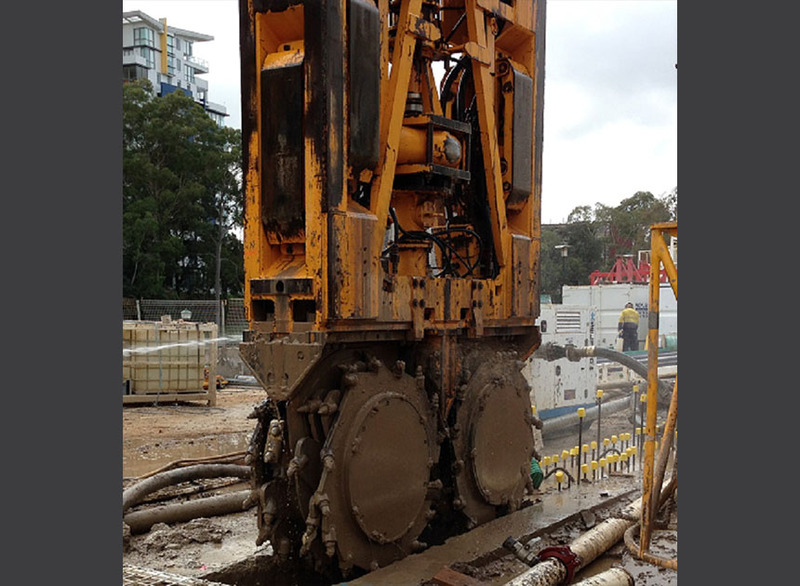 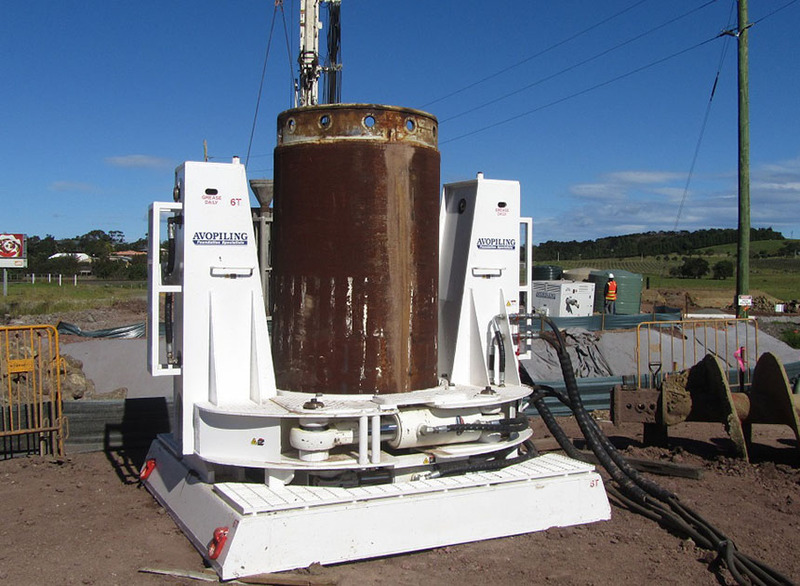 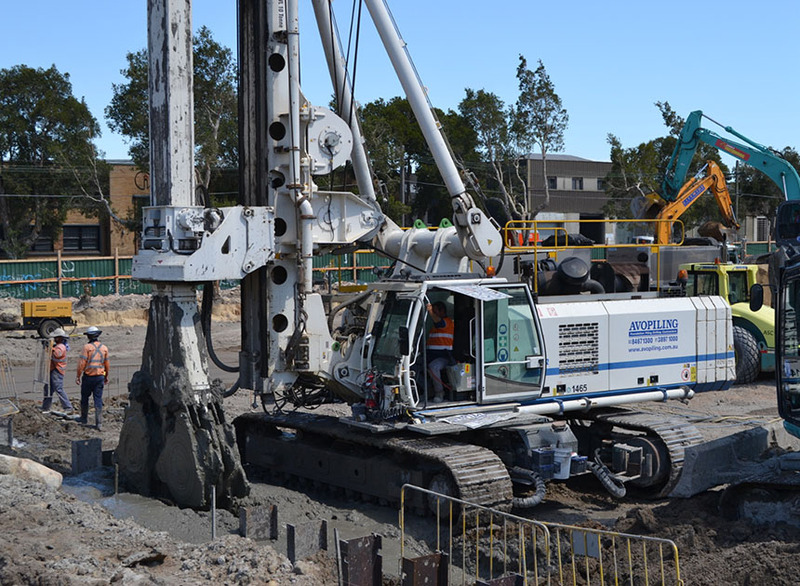 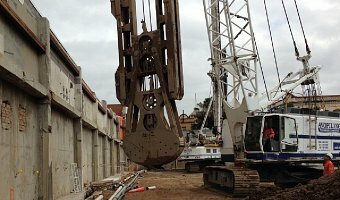 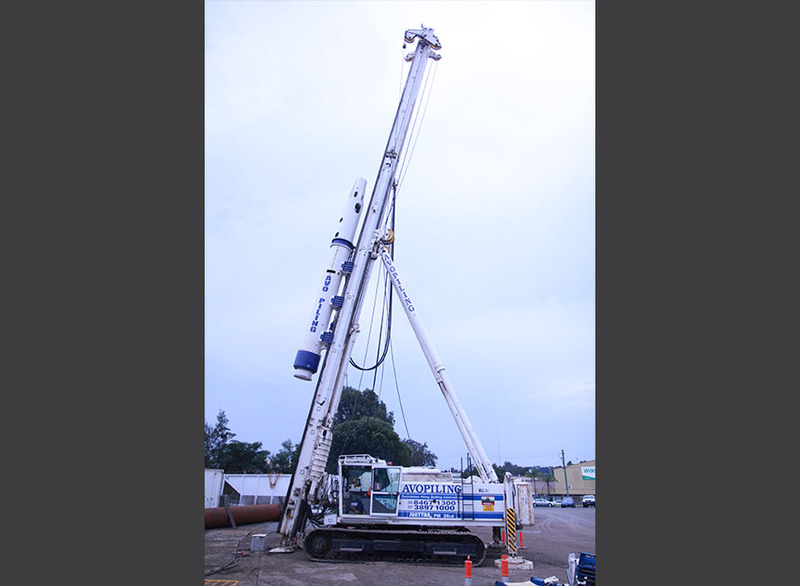 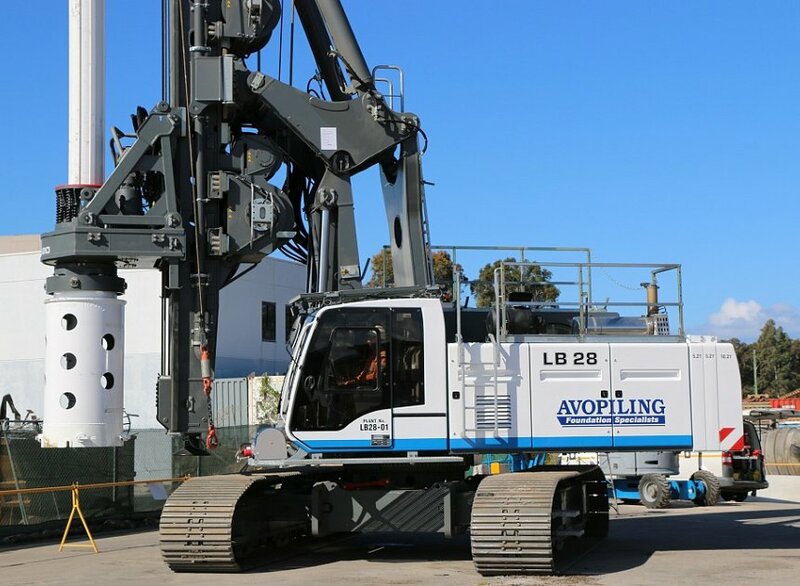 With the recent acquisition of the biggest bored piling rig in Australia, Avopiling is capable to deliver large and deep bored foundation piles and shafts. 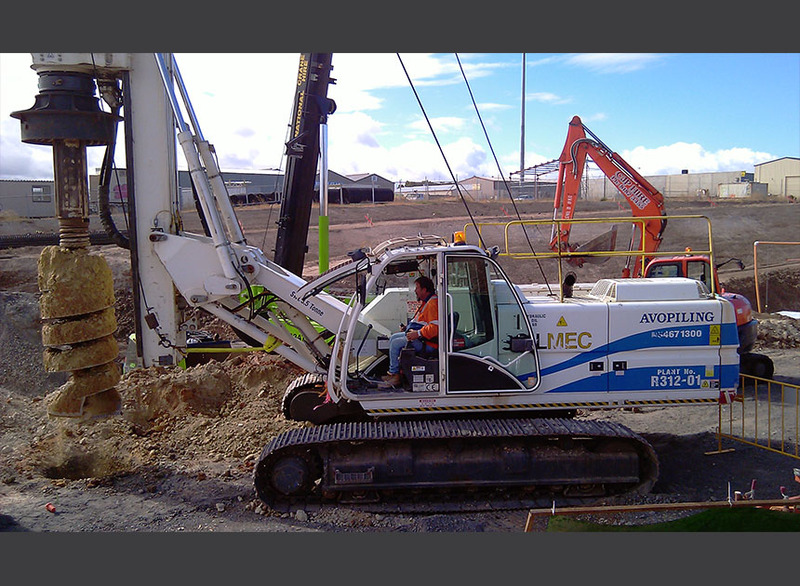 We also have all the ancillary equipment that is required for everyday operations onsite. 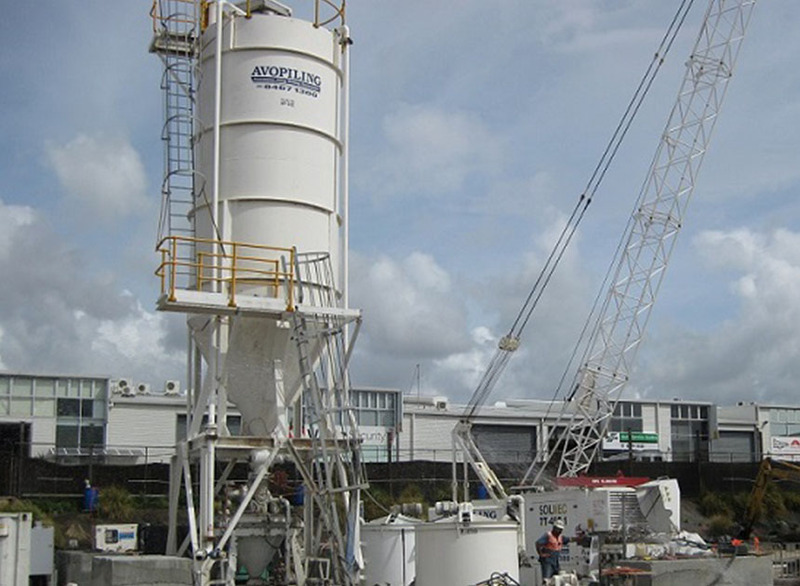 Our site teams are able to utilise excavators, air compressors, grout mixing plants, bentonite processing plants and a variety of other plant items to ensure that projects are delivered safely and on time. 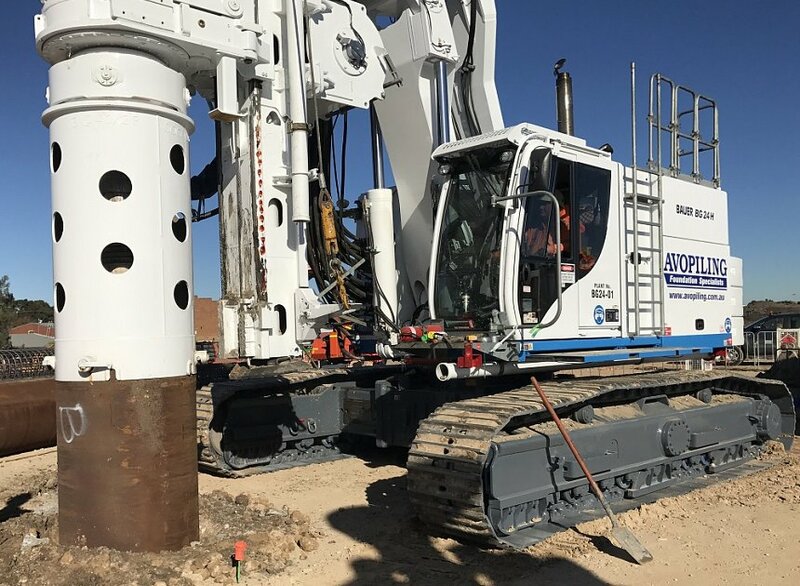 Our state of the art fleet is made up of highly respected European piling rig manufacturers, Bauer, Liebherr, Soilmec and Tescar drilling rigs. 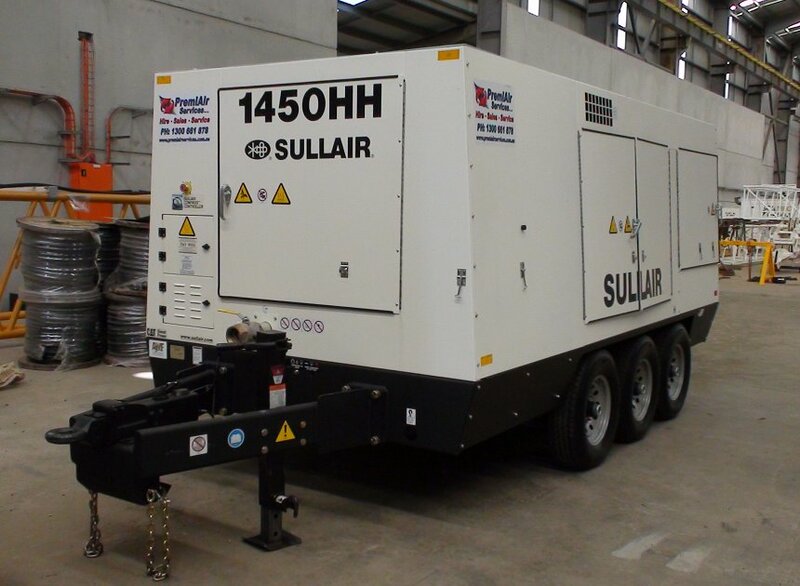 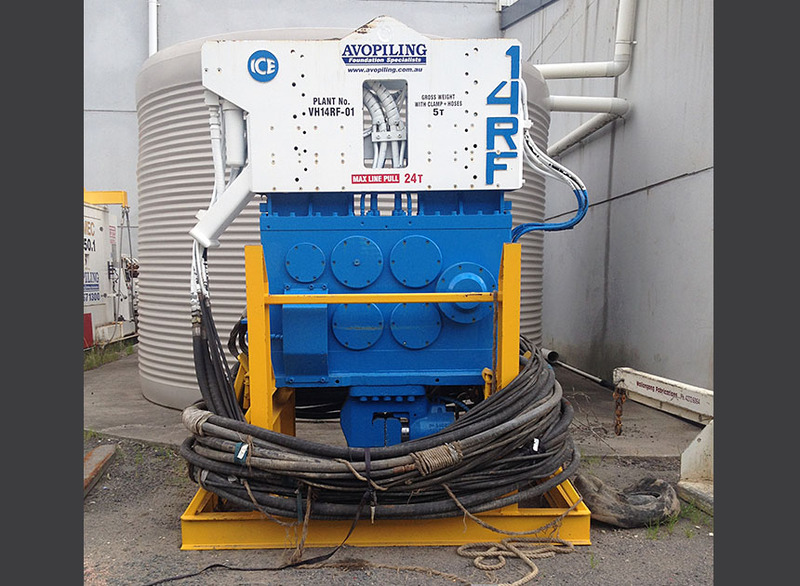 Capacities ranging from 11t to 180t working weights. 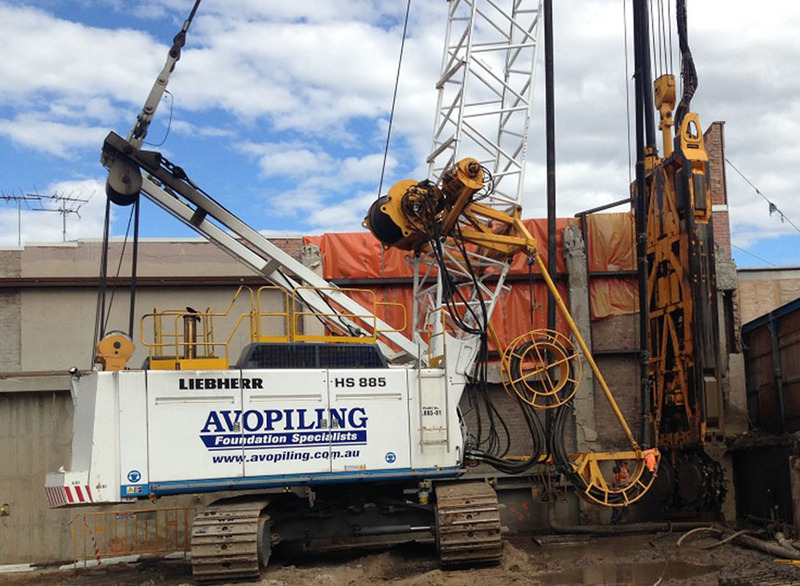 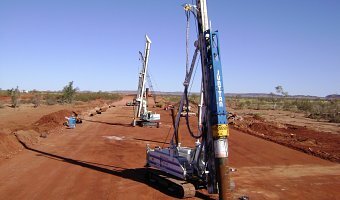 Avopiling offers a variety of drilling diameters ranging from 300mm to 3800mm piles and to drilled depths of up to 90m into hard rock. 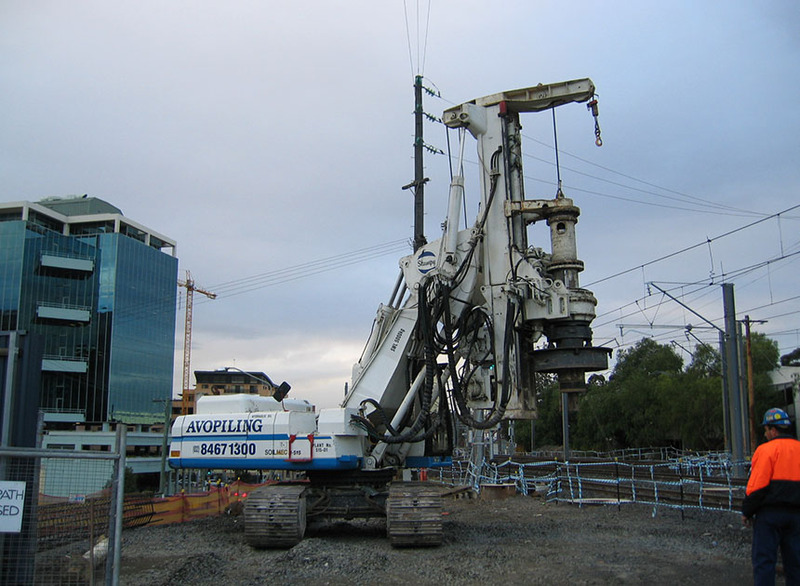 Our unique low headroon "Stumpy" piling rig enables us to work efficienlty below bridges, power lines, within tunnels as well as in other extremely restricted sites. 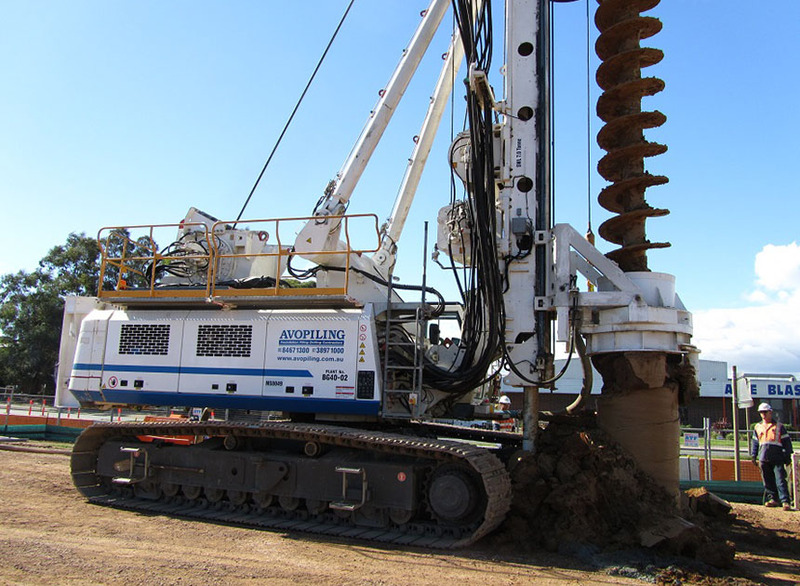 This machine can also drill up to a diameter of 1.5m. 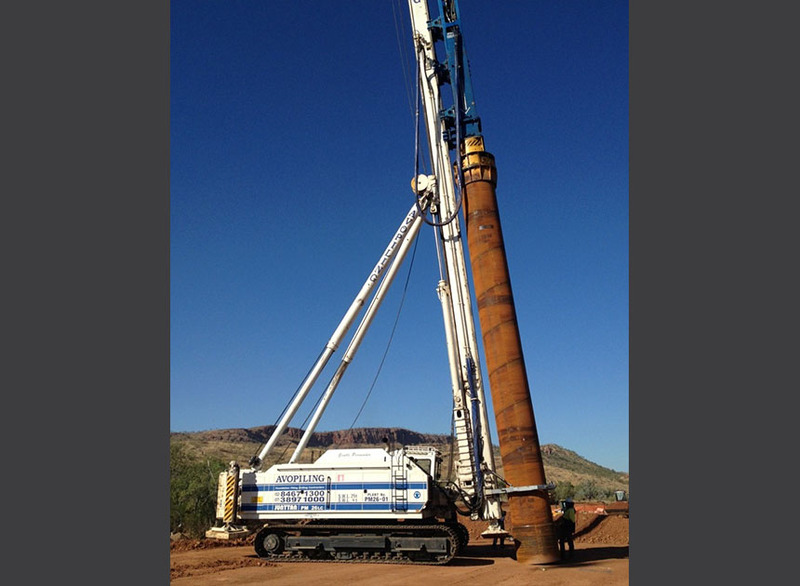 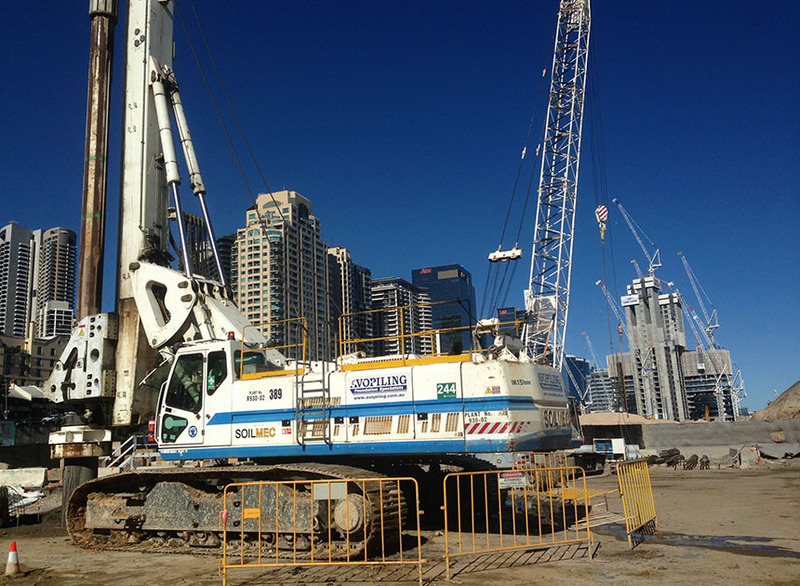 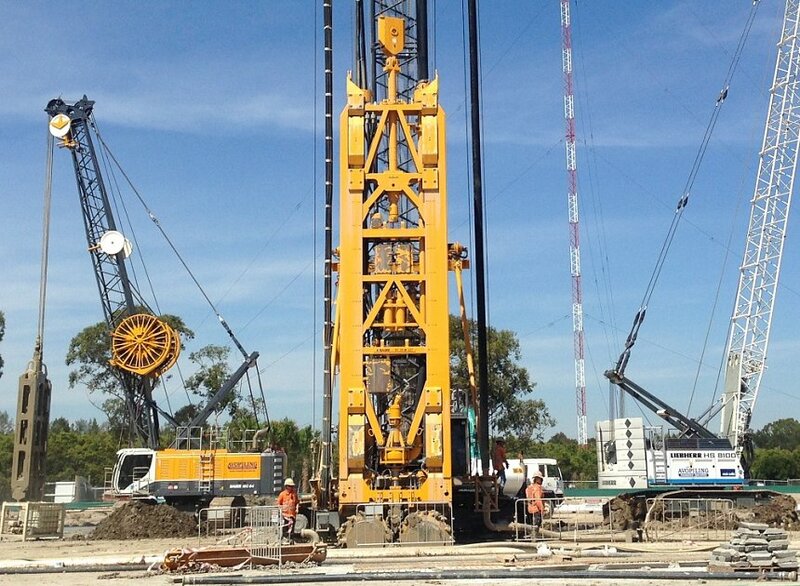 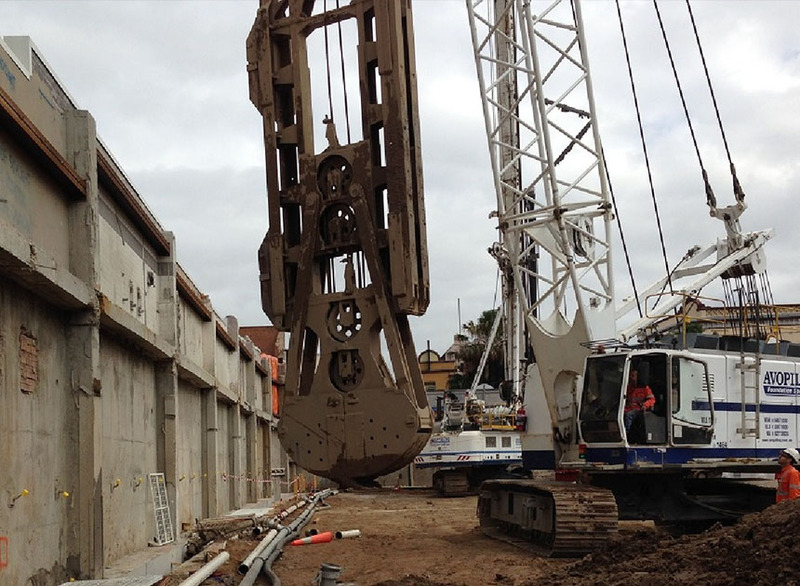 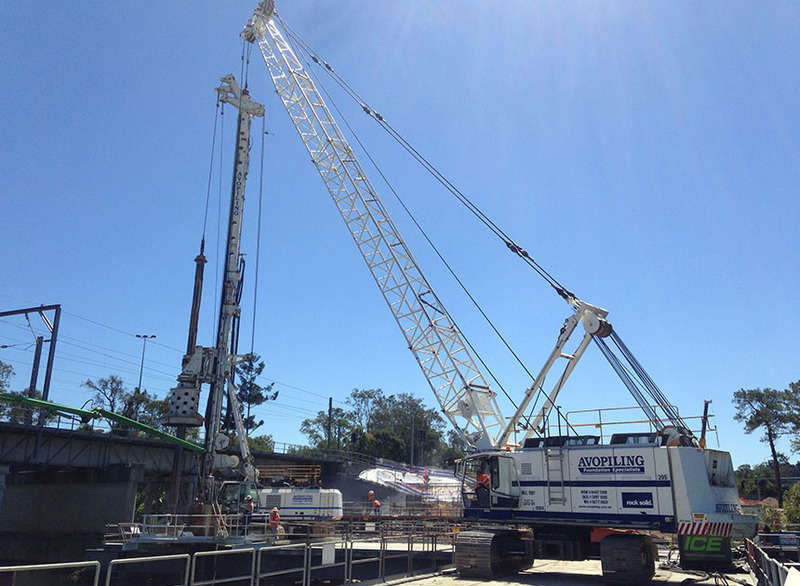 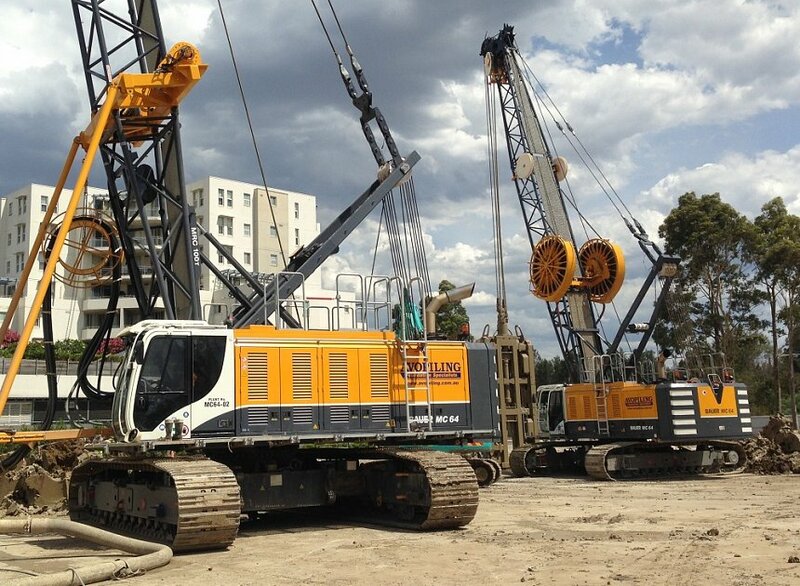 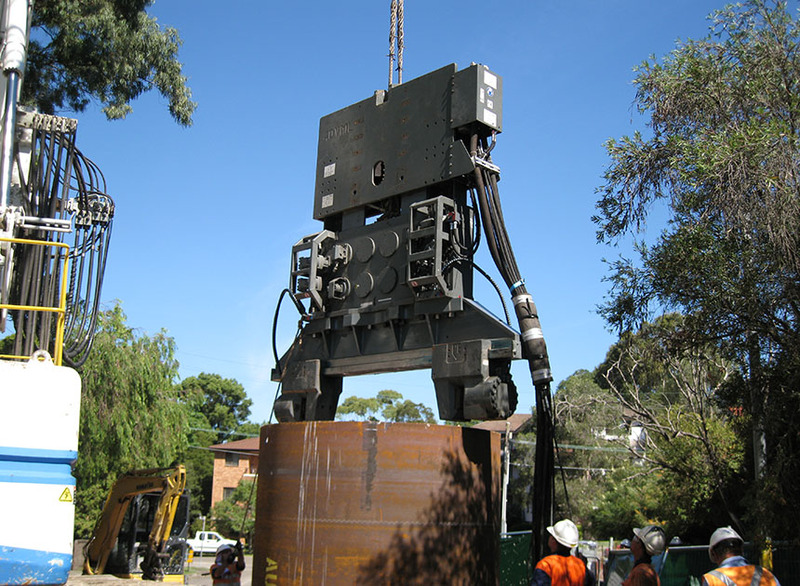 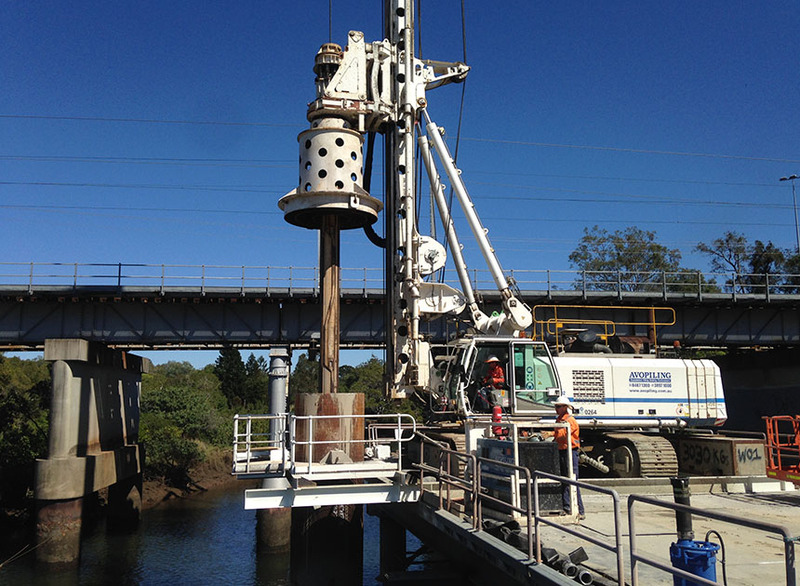 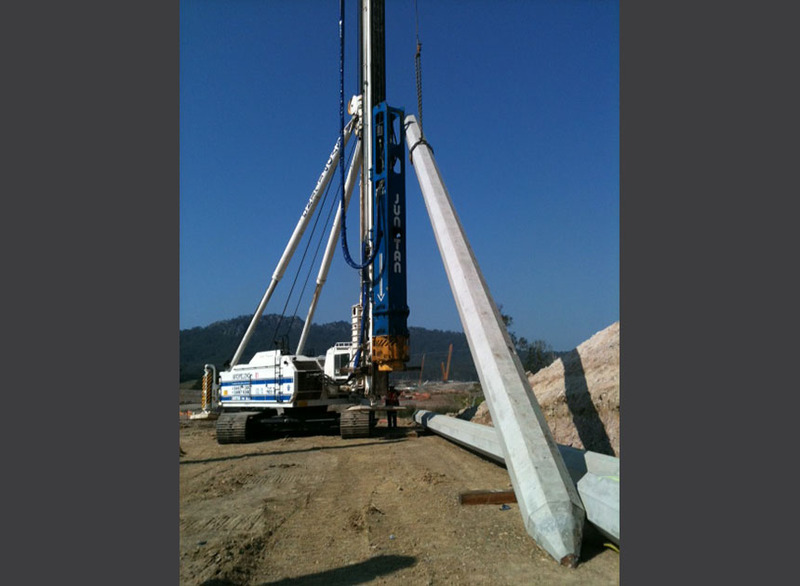 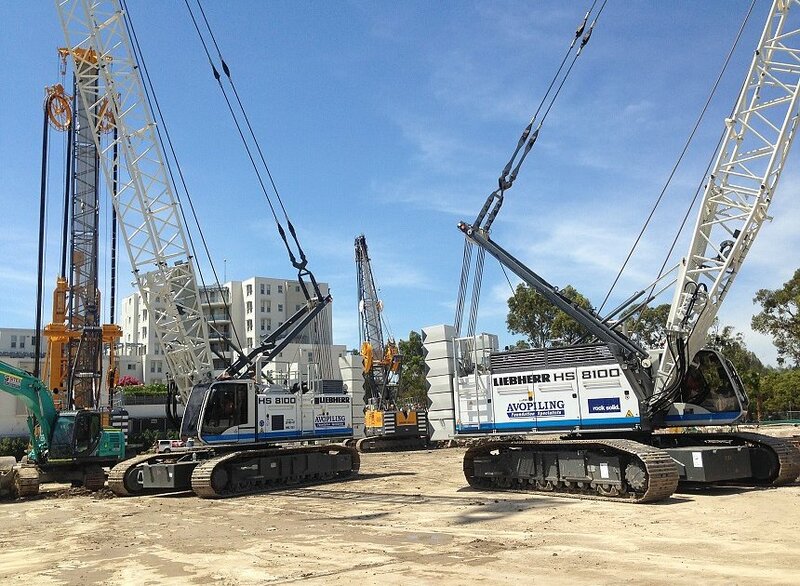 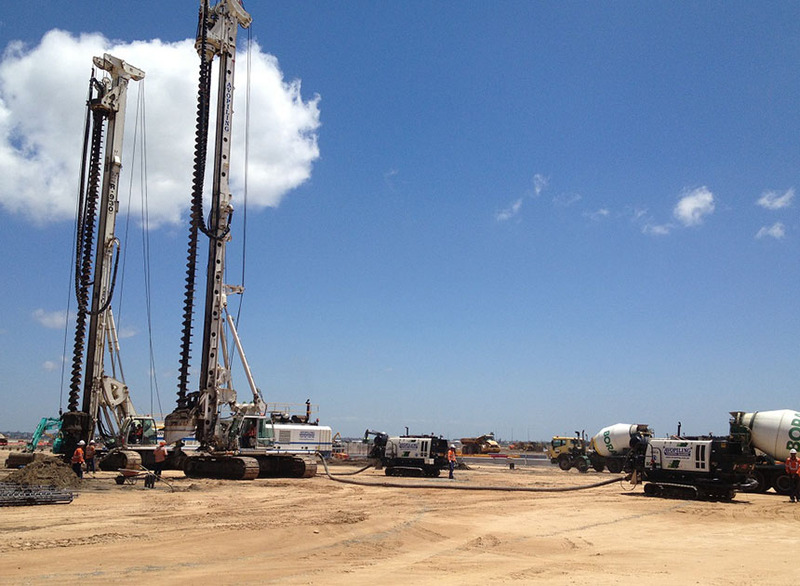 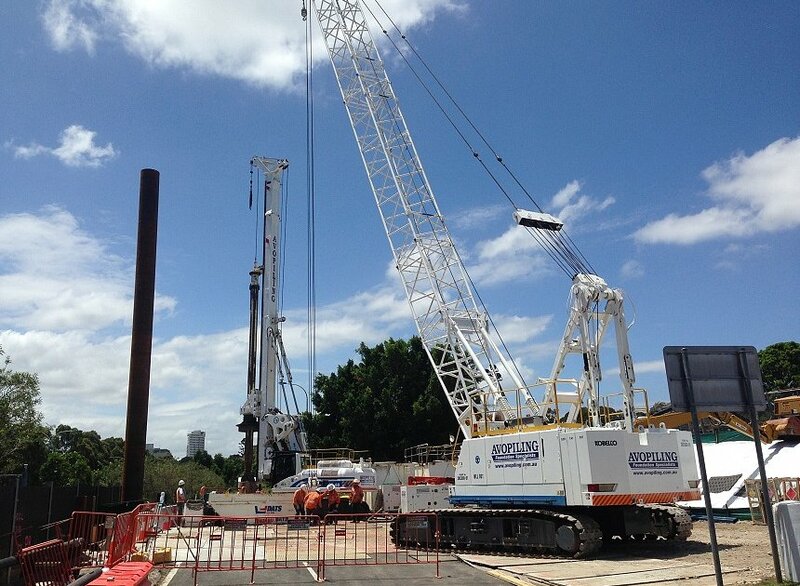 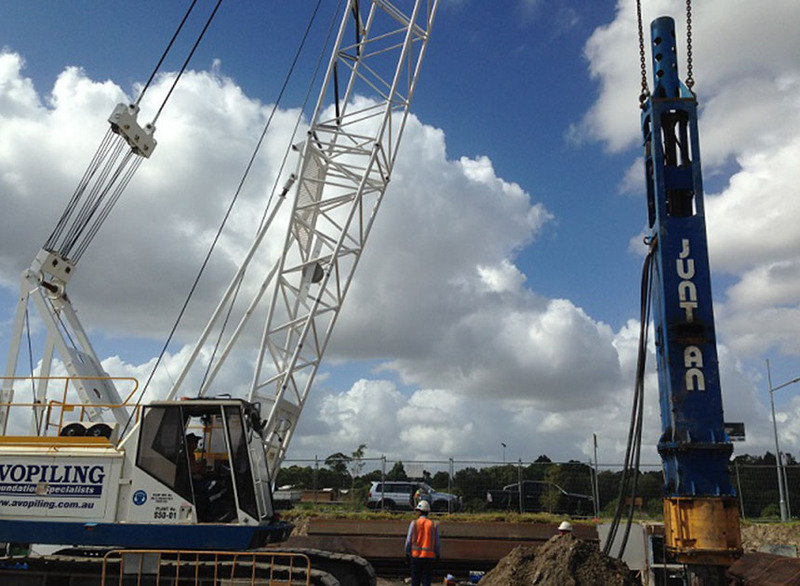 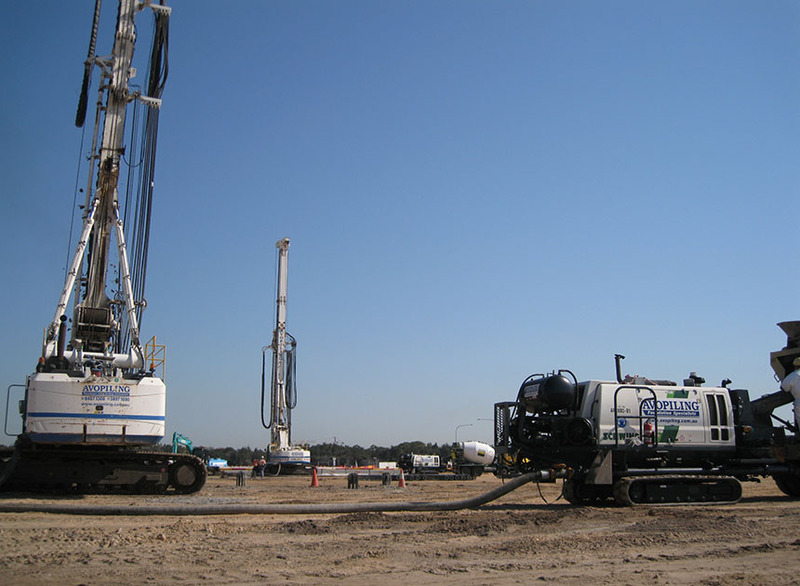 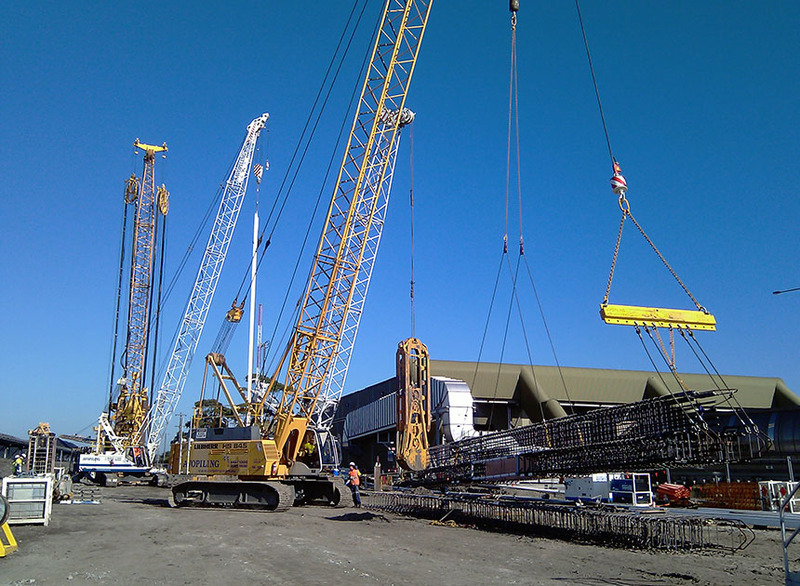 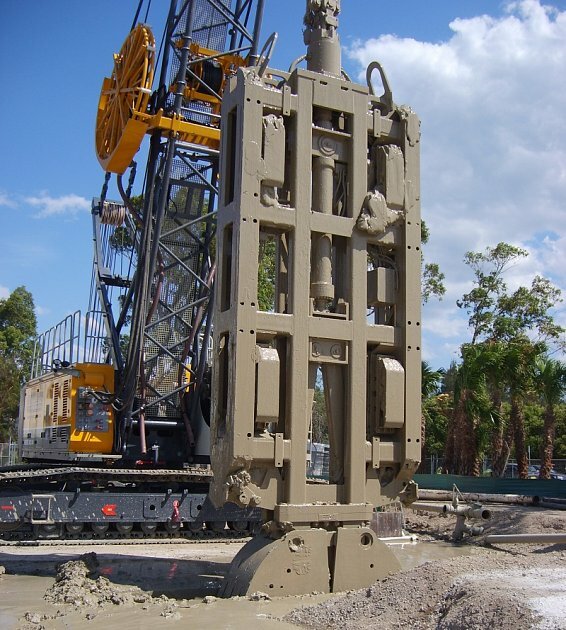 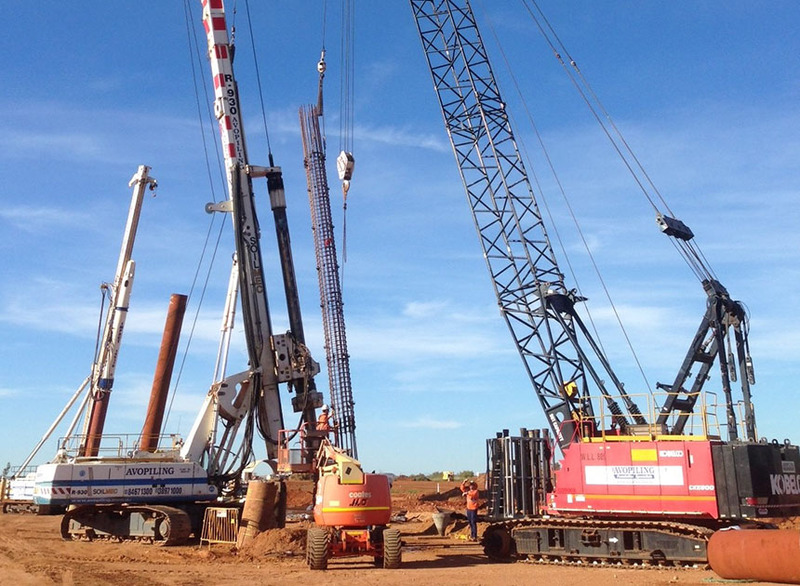 Our Bauer BG45 recently acquired is the largest bored piling rig in Austrlia. 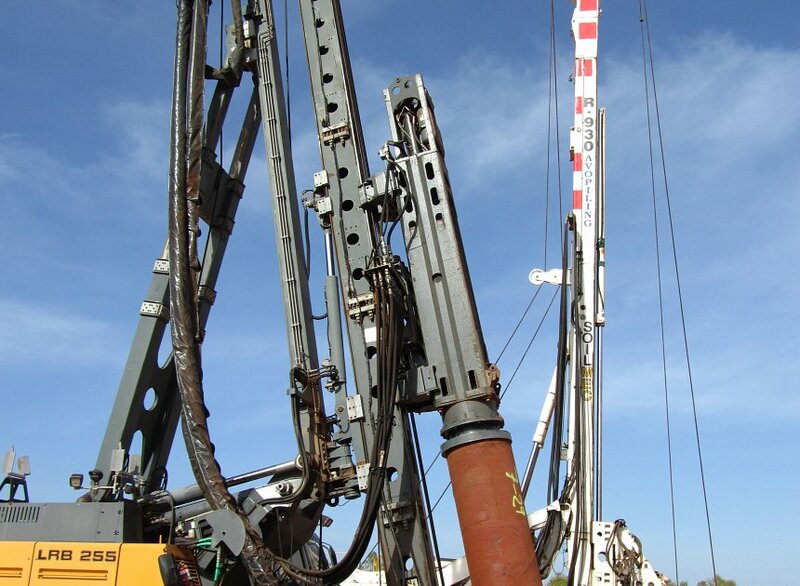 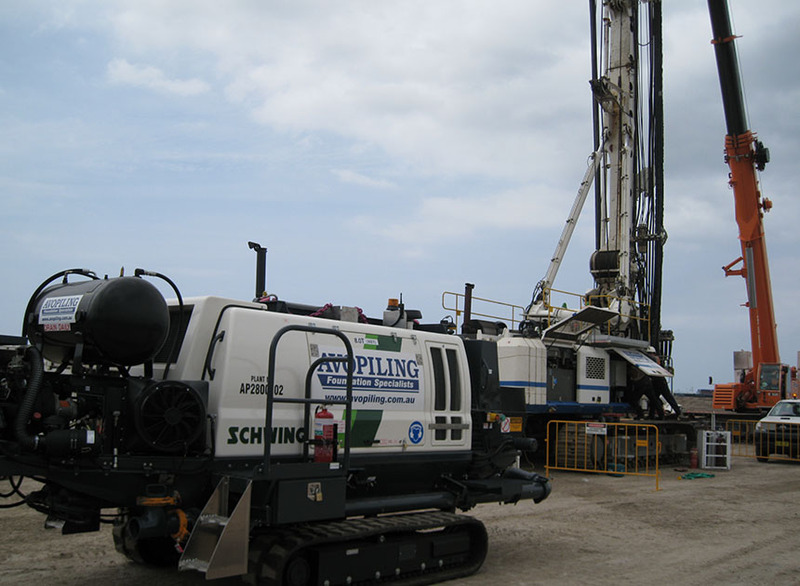 With our advanced drilling tools we can drill into any type of rock ranging from extremely weathered wet rock to extremely high strength fresh rock. 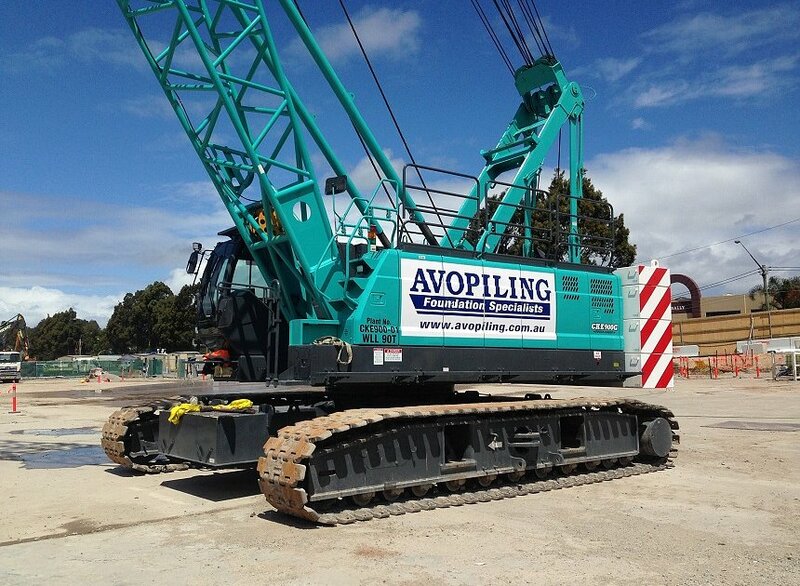 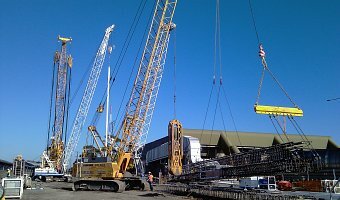 Avopiling has a large fleet of service cranes ranging from a 35t Hitachti to 120t Liebherr HS series crawler cranes. 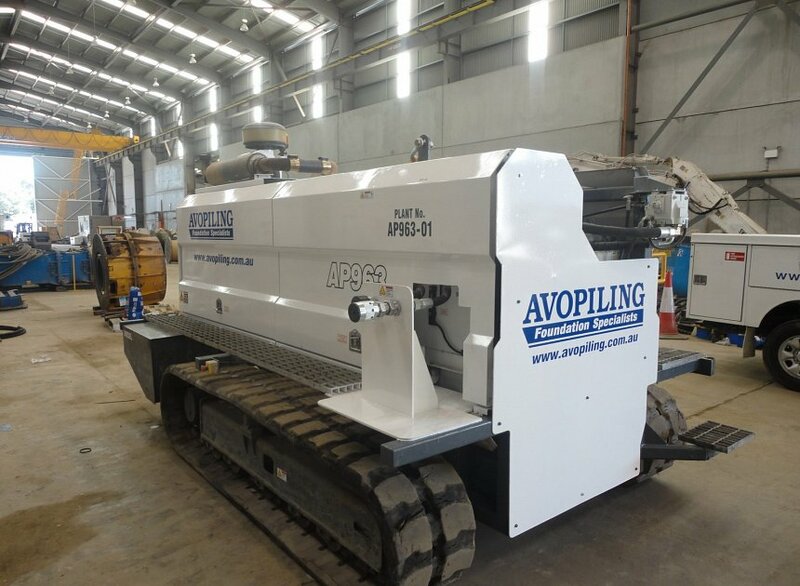 Avopiling uses a newly acquired Bauer BC35 trench cutter and DHG-V Hydraulic grabs in conjunction with other in house plant items to construct diaphragm walls to a very high level of precision and accuracy. 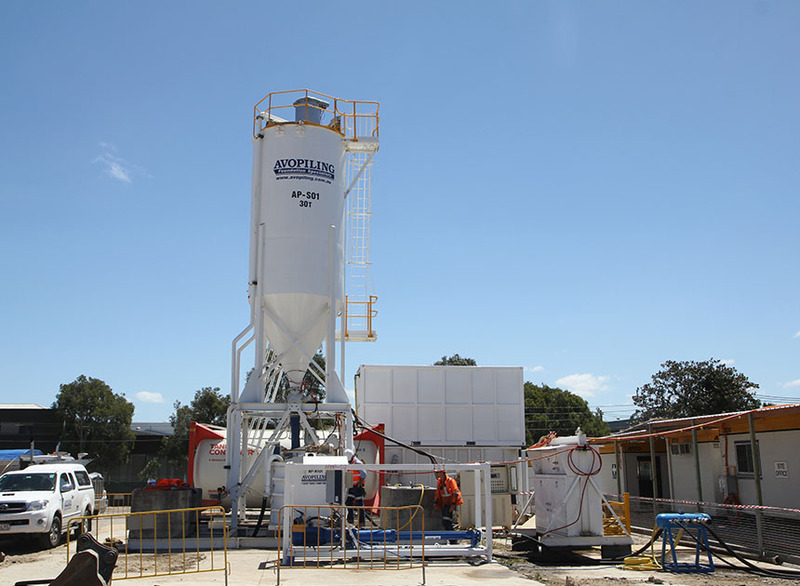 We even have decanting systems that can treat bentonite slurries during and after the construciton process to reduce environmental impact. 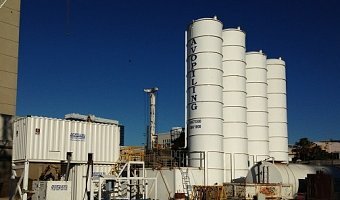 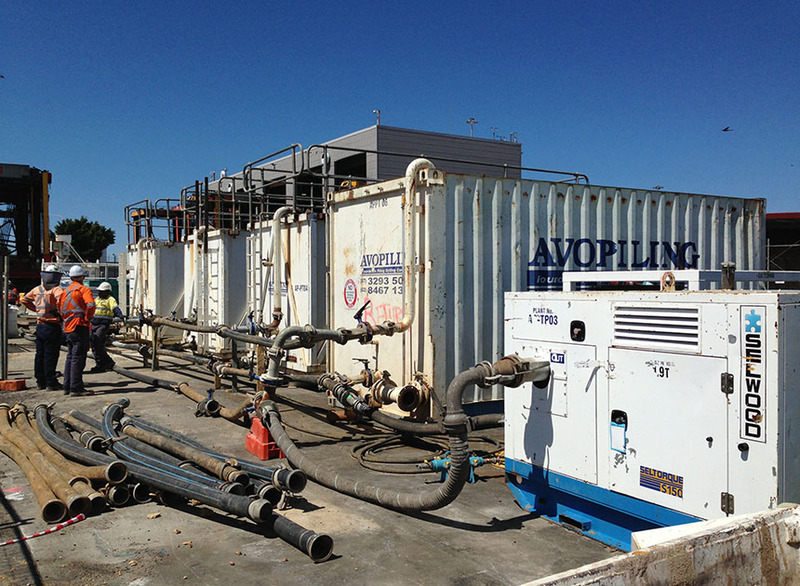 Avopiling have various material batching and treatment plant options available. 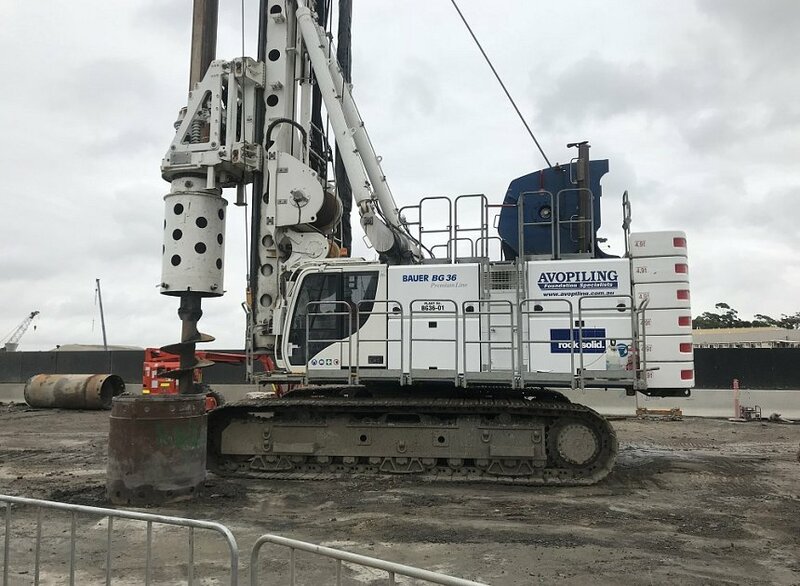 We are able to tailor our site set up to suit almost any site conditions and requirements, whether that dictates a simple or a complex solution. 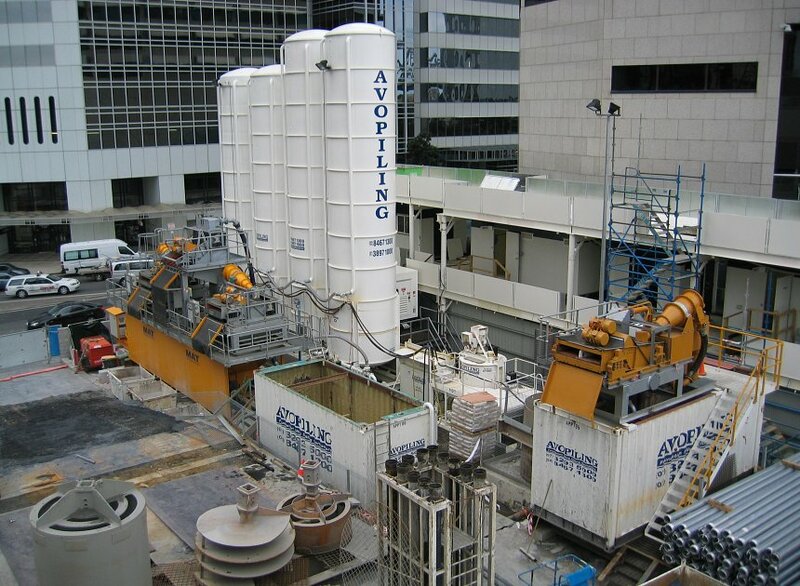 Avopiling owns a fleet of state of the art concrete pumps that are well regarded throughout the construction industry. 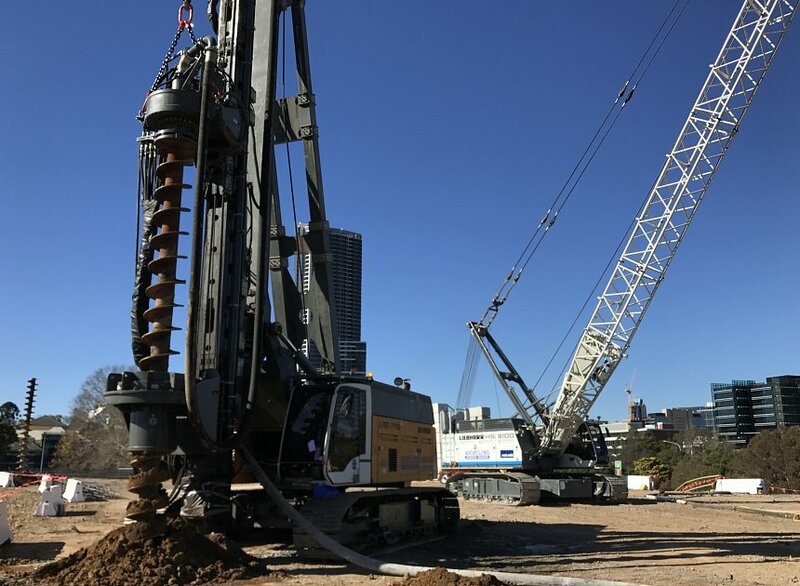 We have been instrumental in developing in collaboration with Schwing Australia a pump that is tailor made for the CFA and DDP piling market, whilst remaining suitable for any other concrete pumping application. 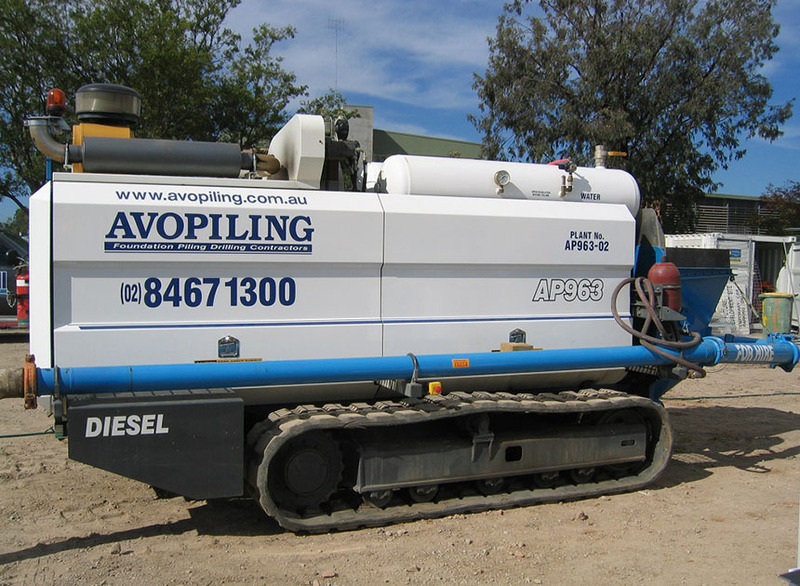 Avopiling also utilizes concrete pumps that were designed and manufactured by Avopiling. 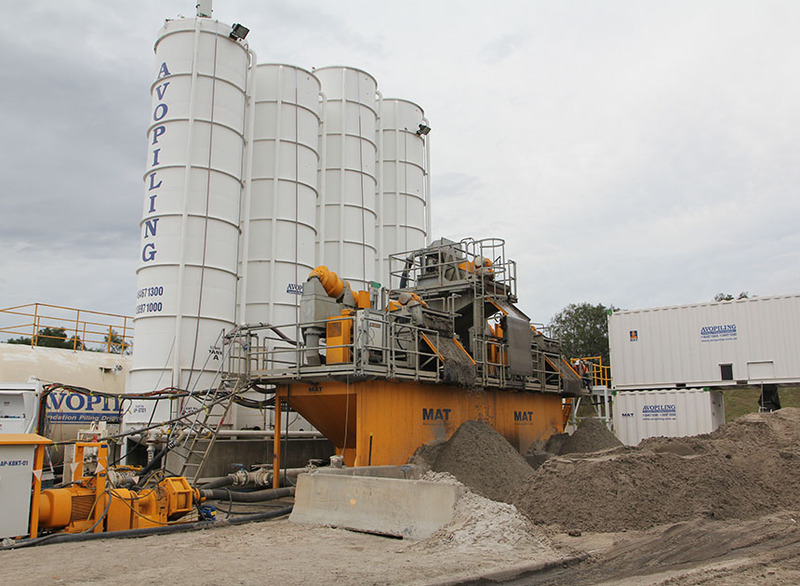 We were able to do this through our world class workshop facilites. 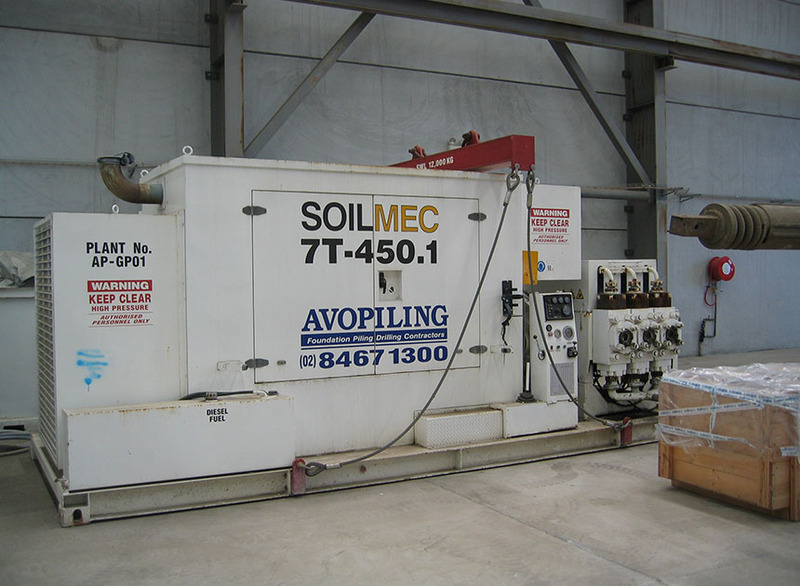 Avopiling have an array of tools and ancillary equipment to suit design and site requirements. 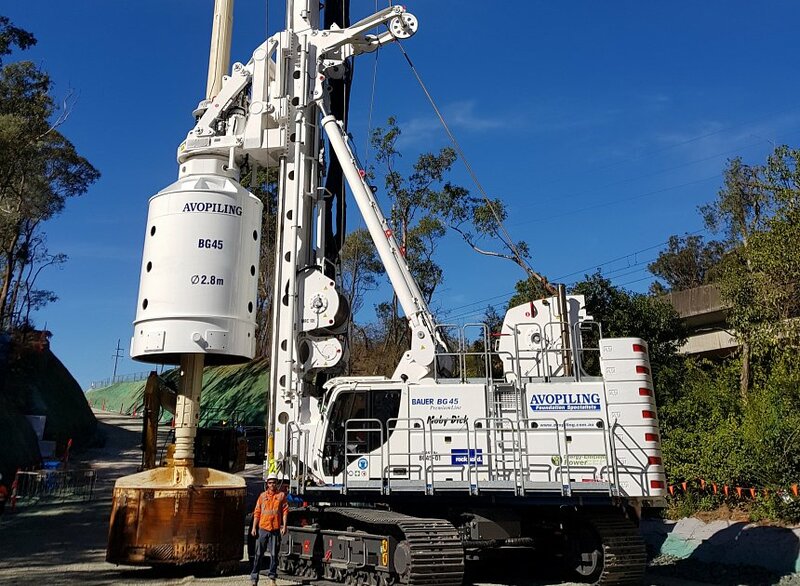 Our drilling tools i.e augers, rock and slide buckets are superior, designed and built in our workshop in Unanderra, NSW. 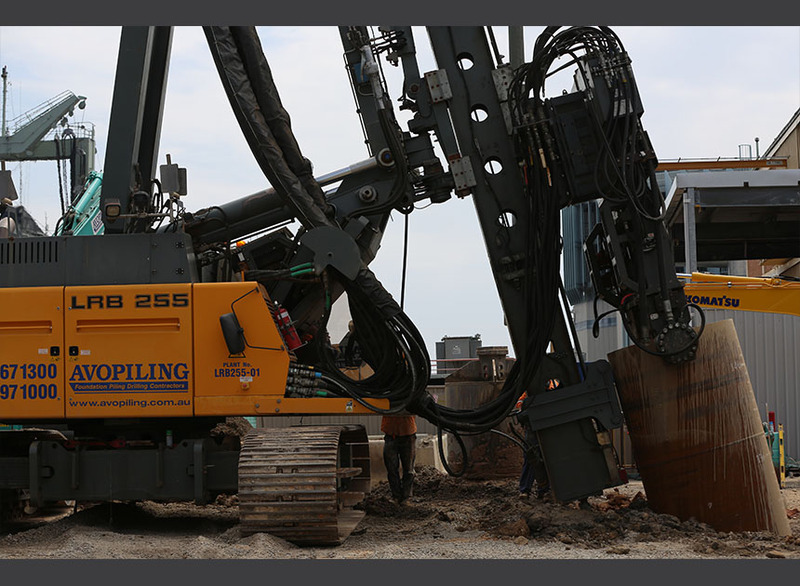 We have also Leffer's Spherical Grab and coring tools of various dimensions to suit all types of soil and rock. 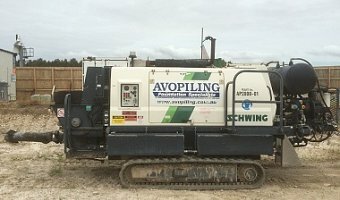 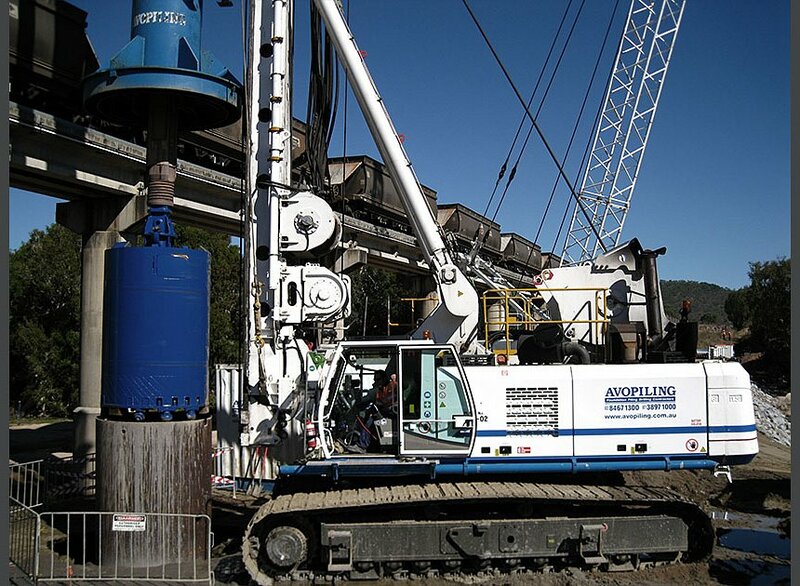 Avopiling utilizes its own excavators, welding machines, air compressors, impact and vibratory hammers, power packs and various pumps to support majority of its piling operations. 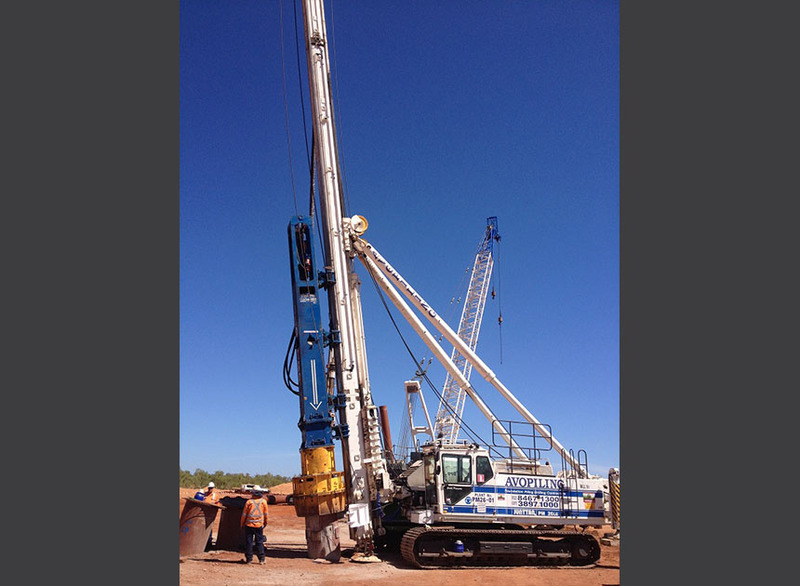 40 VML driving 2.55 dia casing in Carlton, NSW. 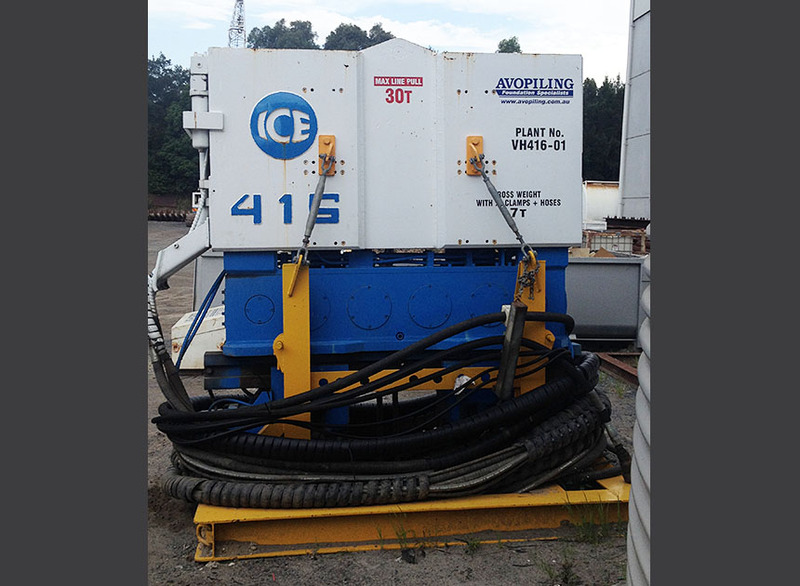 Track mounted hydraulic power pack.